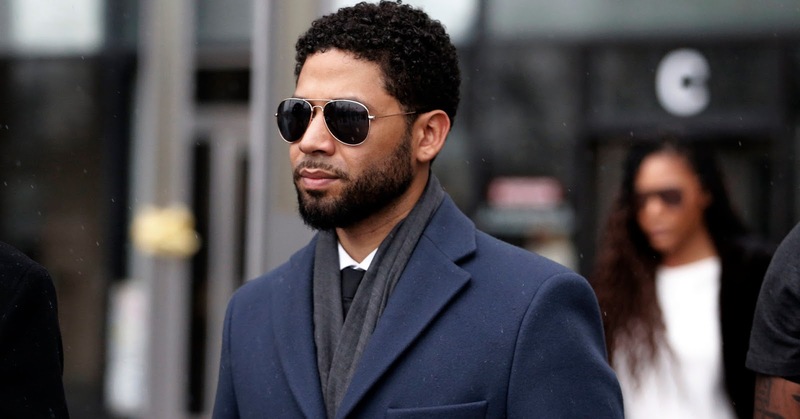 The charges against Jussie Smollett were suddenly dropped without explanation on Tuesday and a judge has sealed the case after the actor agreed to pay $10,000 in bond forfeiture. The Empire actor appeared in Chicago on Tuesday for an emergency hearing after his lawyers announced the news in a statement. Smollett, 36, was facing up to 48 years behind bars on 16 felony counts of filing a false police report. Today, the charges were dropped after he agreed to forfeit his $10,000 bond. 'After reviewing all of the facts and circumstanced of the case, including Mr. Smollett's volunteer service in the community and agreement to forfeit his bond to the City of Chicago, we believe this outcome is a just disposition and appropriate resolution to this case,' a spokesman said. The decision to drop the case comes after the Cook County's State's Attorney, Kim Foxx, recused herself over her contact with a member of Smollett's family in the hours after the attack. Chicago Police chiefs, who were confident in their evidence against Smollett, are 'furious' about the decision, according to sources cited by local media. In a statement today, Smollett's lawyers revealed the news. 'Jussie was attacked by two people he was unable to identify on January 29th. 'He was a victim who was vilified and made to appear as a perpetrator as a result of false and inappropriate remarks made to the public causing an inappropriate rush to judgement. 'Jussie and many others were hurt by these unfair and unwarranted actions.